“Aquaculture Studies” is the successor to the “Yunus Research Bulletin (Yunus Araştırma Bülteni). On the basis of the experience and strengths of its predecessor, Aquaculture Studies has been developed to create a truly international forum for the communication of research in aquaculture science. Print publication will be discontinued since Vol 18 Number 2. Manuscripts will be published as online. 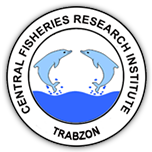 Aquaculture Studies is indexed in ULAKBİM TR INDEX databases.